The start of the 2017 season is nearly upon us! It doesn't seem like two minutes since we closed up the park in October. I have to say that it doesn't quite feel 'Spring like' enough yet to believe that in 5 weeks time it will be all lambs and caravans; as we prepare to open for the first weekend of the season and will have just started lambing! 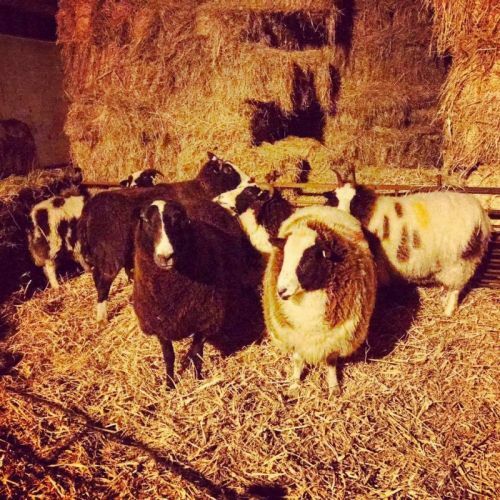 Secondly, we will be lambing a small flock of Jacob sheep for the first time on the farm in over 16 years! The ewes were scanned in early January, and from this we can tell that they are all in lamb, and should be due from the 1st of March onwards (although the impatient ones may turn up a little early...). Our facebook and twitter pages are a great way of keeping up to date with what is happening at the Caravan Park and farm, so why not follow us on there?